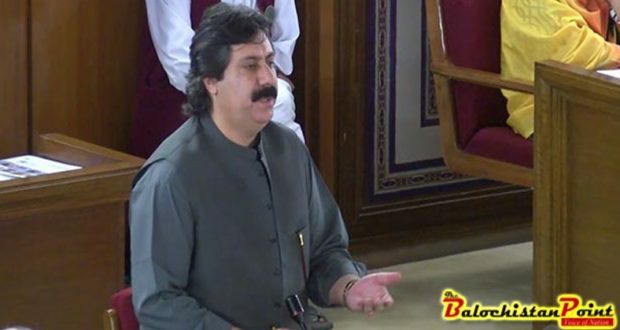 QUETTA: The Secretary General of Balochistan Awami Party Manzoor Kakar won the Senate seat during the by-polls on Monday. According to details, Kakar secured 38 votes, while Balochistan National Party (Mengal)’s Ghulam Nabi Mari was the close second with 23 votes in the polling held at the Balochistan provincial assembly. The seat fell vacant after the death of PkMAP Senator Azam Khan Musakhel on December 15, 2018. Senator Musakhel passed away in Karachi after suffering from a prolonged disease. He was elected to the Senate in 2015. Strict security measures were taken at the assembly. The BNP-Mengal had threatened to take back it’s support from the PTI-led coalition if it doesn’t support the party in the by-election. Balochistan Assembly has seven members, Balochistan Awami Party (BAP) has 24 members, and Balochistan National Party-Mengal has 10 members in the provincial house.